The rules of coding for ICD-10 have been established in cooperation by the American Hospital Association (AHA), the American Health Information Management Association (AHIMA), the Centers for Medicare & Medicaid Services (CMS) and the National Center for Health Statistics (NCHS). It’s a standard to which all clinicians must adhere. ICD-10 encompasses 21 chapters and expanded code options that have been reorganized and expanded. Injuries are described by site first and then by type. They include laterality, greater specificity and combination codes. 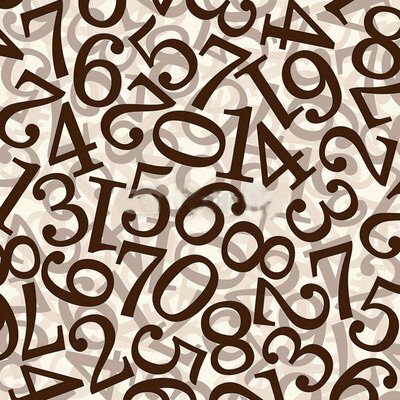 ICD-10 codes are now identified with an alpha-numerical system that can include up to seven characters and the first will always be a letter. The letters I and O are not used, as they can easily be confused with the numbers 1 and 0. Letters aren’t case sensitive. The first three identifiers represent the category, the next three describe the anatomical location and severity, and the last is an extension that identifies if it as the first or subsequent encounter, or the result of a previous injury or disease. X is used as a placeholder in some codes. Injuries are grouped by body part rather than injuries. Clinicians will focus on documenting the current complaint of the client. Never assume that “standard” treatment has been provided or code on a suspected diagnosis. Payers just want the facts of what’s readily observable. Practitioners will need to document variables that were not required under ICD-10. Clinicians will need to include data on all external causes that led up to the actual injury, the exact location of the injury, and the patient’s actions at the time of the injury. Documentation will also require information about the environment in which the injury took place, and any measures the patient has taken to alleviate the problem. Additional data must be included on any complications, the results of tests and exams, and very detailed data on the treatment plan. The conventions for ICD-10 have an alphabetic index of terms and codes that may apply. It’s broken down into four parts: Index of Diseases and Injury, Index of External Causes of Injury, Table of Neoplasms, and Table of Drugs and Chemicals. ICD-10 also has a tabular list that divides codes into different chapters that’s based on condition or body system. ICD-10 coding conventions dictate that clinicians record the underlying or casual condition first. This should be followed by the condition displayed. Up to 12 diagnosis codes can be included for accurate representation of all conditions related to the patient’s visit. A new coding convention for ICD-10 provides laterality in reporting. Clinicians now have designations for right, left, bilateral and unspecified. Coding can then be specified for the type of injury, disease or condition, along with an even more finely detailed description of the affected area. Medication conventions have also been expanded. An example of this is drug under-dosing, a concept that doesn’t exist in ICD-9 but can be coded for under ICD-10. Many of the new codes reflect changes in terminology and technology. Some codes have been updated, while other terms have been eliminated or disassociated from specific conditions. Even punctuation is addressed in the conventions. Specific guidelines have been established for the use of parentheses to designate supplementary words and terms that should be documented, but won’t change the diagnosis. Clinicians can differentiate between signs, symptoms and unspecified codes. While ICD-10 codes are extensive and comprehensive, the good news for practitioners is that they generally won’t have to contend with the entire complement of code options, only those that affect their specialties. For instance, physical therapists and dermatologists won’t be coding for the same types of disease or injuries.